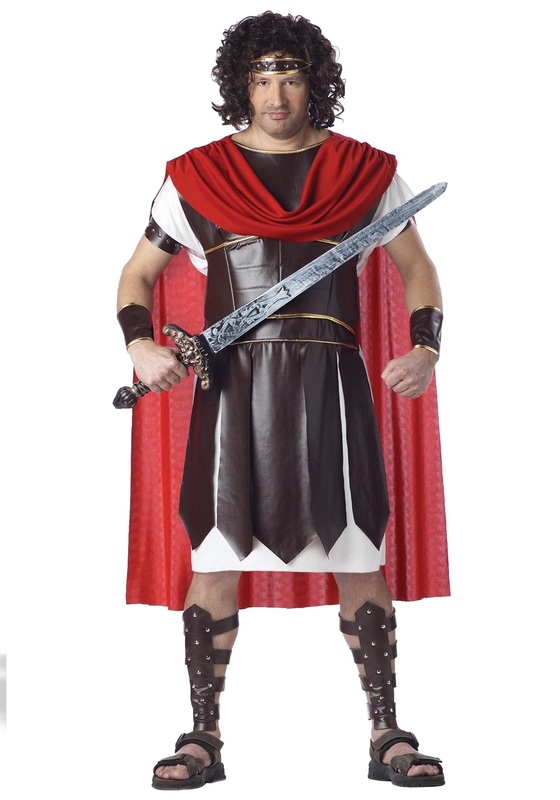 You will be the legendary Hercules in this costume. It looks great with one of our sword accessories or paired with an Egyptian queen costume for a couples look. You can rule ancient Greece or Rome in this handsome warrior costume. This is a nice costume, but it not the size listed on the site. It is only up to a 52. I am a lean mean 56, and I was able to use it (ordered 1 day shipping at last minute), but would have preferred it fit better.